and winner’s choice of color for one plastic iLID for an open jar. This Giveaway is open to residents of the U.S. and Canada, 18 years and older. Everyone gets 2 free entries; additional entries are also possible. The entry dates are from June 15 through June 22, 2016. Winners will be randomly chosen. We will email the winners to send us their mailing address, and they will have 48 hours to respond or we will choose new winners. The names of the winners will be posted on this Pomona’s Pectin website blog and on Pomona’s Facebook Page as soon as possible after the giveaway ends. Enter the Giveaway using the Rafflecopter widget below. If you’ve never entered a Rafflecopter giveaway, click here for a video of how it works. Happy August everyone! Wow, what a month of bounty! Broccoli and cauliflower are in the freezer, the green beans and cukes are flourishing, the raspberries and peas are finally slowing down, the blackberries are almost ready, and the apples are coming along beautifully. I’ve been harvesting and preserving like crazy, and I still can’t keep up. It’s good problem to have of course! Speaking of bounty, I recently learned a bit about the old Roman goddess Pomona. She was associated with the care, cultivation, and flourishing of fruit trees, and as a goddess of fruitful abundance, was traditionally celebrated on August 13. Pomona’s Pectin is named after the goddess Pomona, and in honor of her and her special day, Pomona’s Pectin is holding a giveaway! Enter the giveaway, using Rafflecopter widget below. You can enter twice if you like! Do it soon, though….this giveaway only runs from August 11–August 18! To enter, you do need to be a resident of the U.S. or Canada, and be at least 18 years old. The winners will be randomly chosen, and there will be two of them! Each winner will receive all three of prizes. If you are one of the winners, you’ll hear from the folks at Pomona’s by email, and you’ll need to respond within 48 hours, or they’ll choose new winners. The names of the winners will be posted on the Pomona’s website 48 hours after the giveaway closes. Good luck….and, Happy Pomona’s Day! Yay, it’s finally strawberry season! 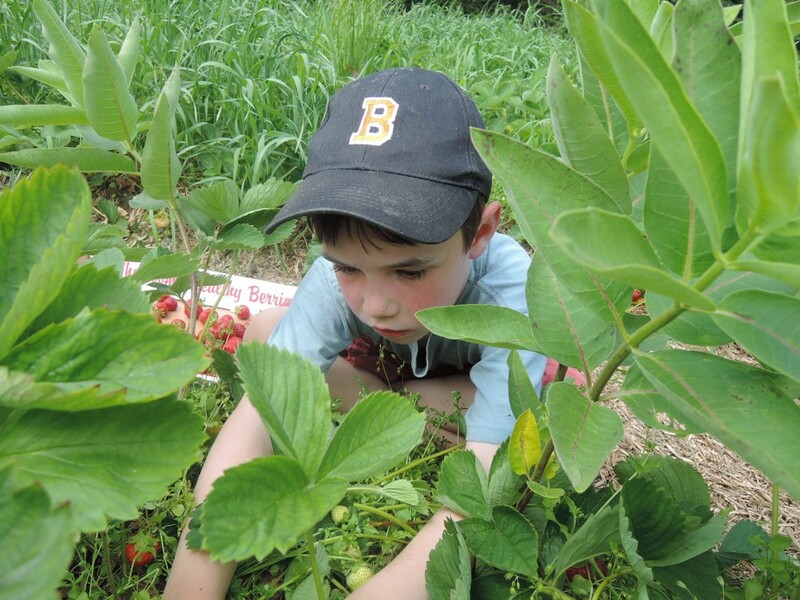 I know that lots of you further south have been enjoying local berries for a while now…. but here in Maine, these things just take a while, you know? 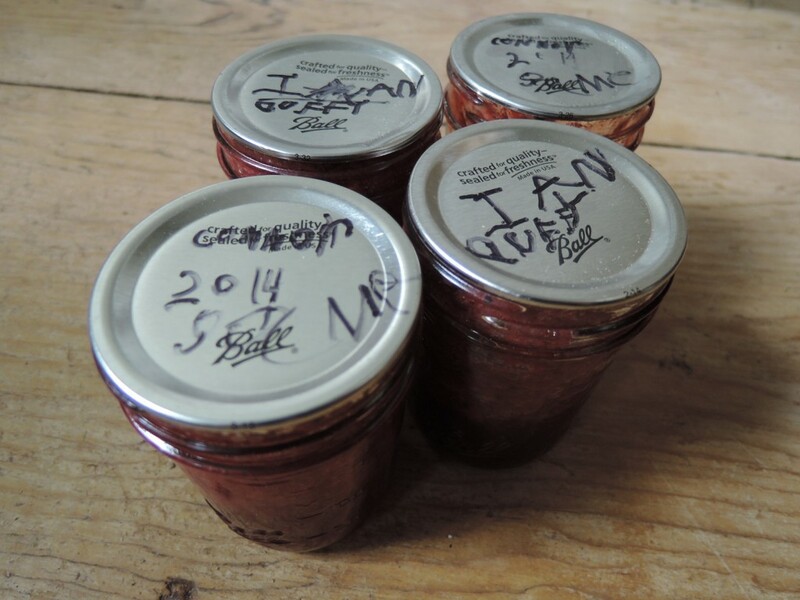 In any case, if you are itching to make some jam, I have a great recipe for you–No-Cook Strawberry Freezer Jam! It’s delicious, and super-easy to make. The recipe is below, along with a step-by-step video I recently made (along with lots of help from my boys) for the good folks over at Pomona’s Pectin. Enjoy! ***Prepare the calcium water. To do this, combine 1/2 teaspoon white calcium powder (included in the Pomona’s Universal Pectin package) with 1/2 cup water in a small, clear container with a lid. Shake well before using. Note that you will have more calcium water than you will end up using in this recipe; simply store it in the refrigerator for later use. 1.) Wash and rinse jars, lids, and screw bands, or other freezer-safe storage containers. 2.) Place strawberries in a colander and rinse thoroughly. 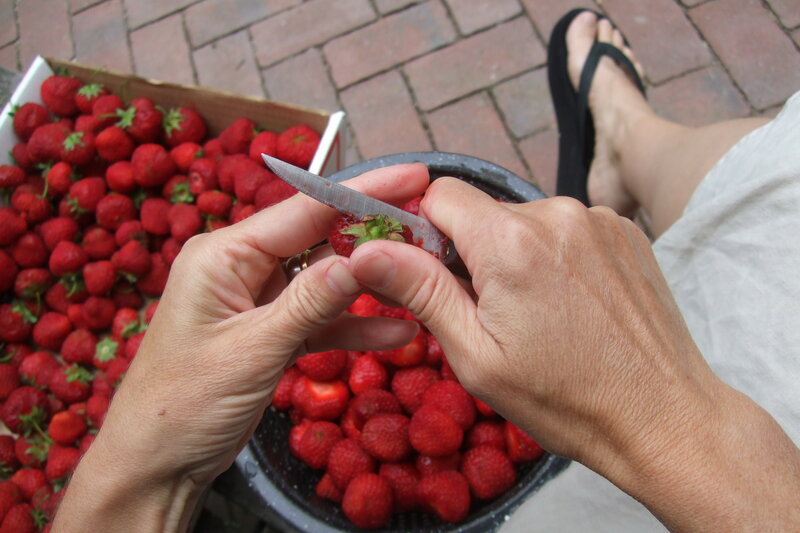 Then, remove and discard strawberry stems. 3.) 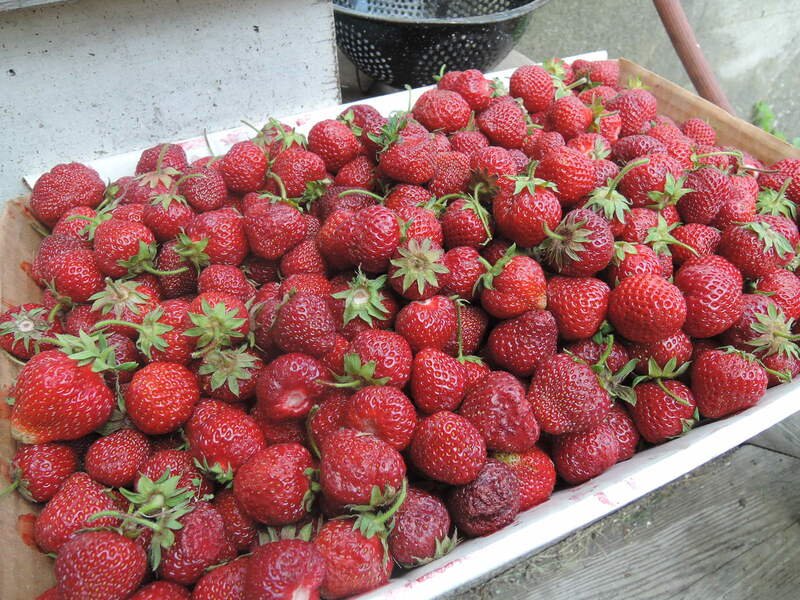 Transfer strawberries into a large mixing bowl and mash them thoroughly. A potato masher works well for this. 4.) Measure 4 cups of the mashed strawberries. If you have any extra, use it for something else. 5.) Transfer the measured quantity of mashed berries back into the large mixing bowl. Add sugar to the mashed berries and mix well. 6.) Bring water to a boil. Then, pour the boiling water into a blender or food processor. Add the pectin powder, vent the lid, and blend for 1-2 minutes, or until all the pectin powder has dissolved. 7.) Pour the hot liquid pectin into the mashed strawberries and mix thoroughly. 8.) Add 4 teaspoons of calcium water to the strawberries and mix well. A jell should appear. If doesn’t, then continue stirring and adding calcium water–1 teaspoon at a time–until jell appears. Please note that the jell , or set , may be softer than that of cooked jams. This is normal. 9.) 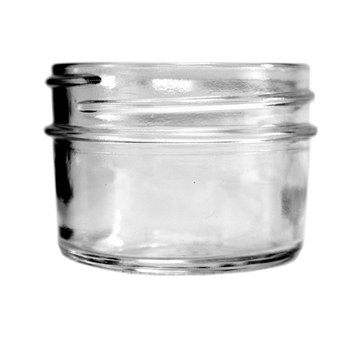 Transfer jam into storage containers, leaving at least 1/2 inch of headspace at the top. Place lids on containers and store in the freezer. When you’re ready to enjoy your jam, store the thawed jar in the refrigerator. It will last in the refrigerator about 1 week. 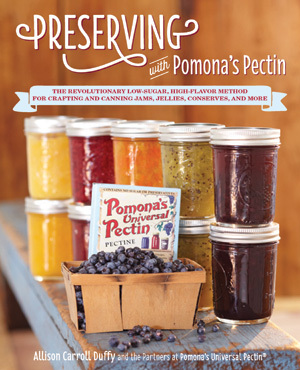 Win a Copy of Preserving with Pomona’s Pectin! Happy almost summer, everyone! I’m loving the hot weather and getting dirty in the garden (especially after such a long, cold winter this year! 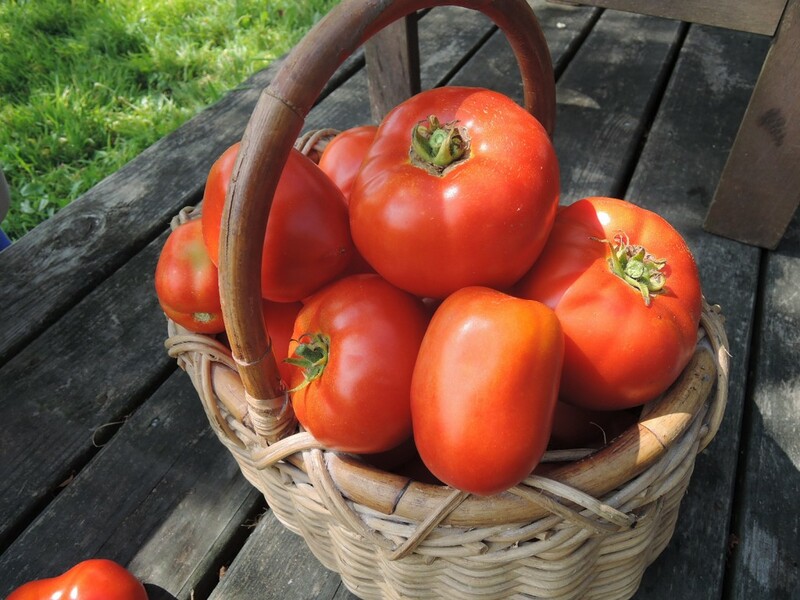 ), and even more than that, I’m excited that it’s almost canning season again! 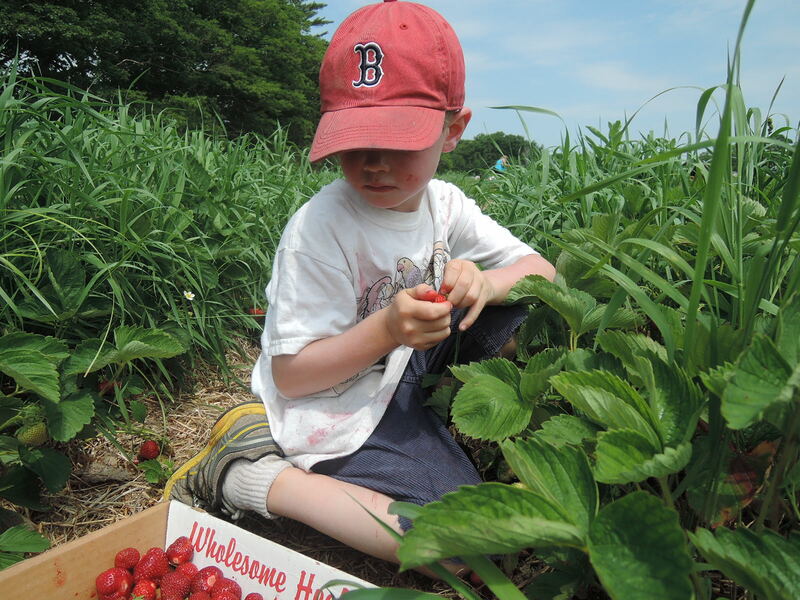 Here in Maine, strawberries are pretty much the first fruit that we have locally available each summer. The berries in our area are not quite ready yet (Ok, I admit, the photo is from a previous year ), but they will be any day! 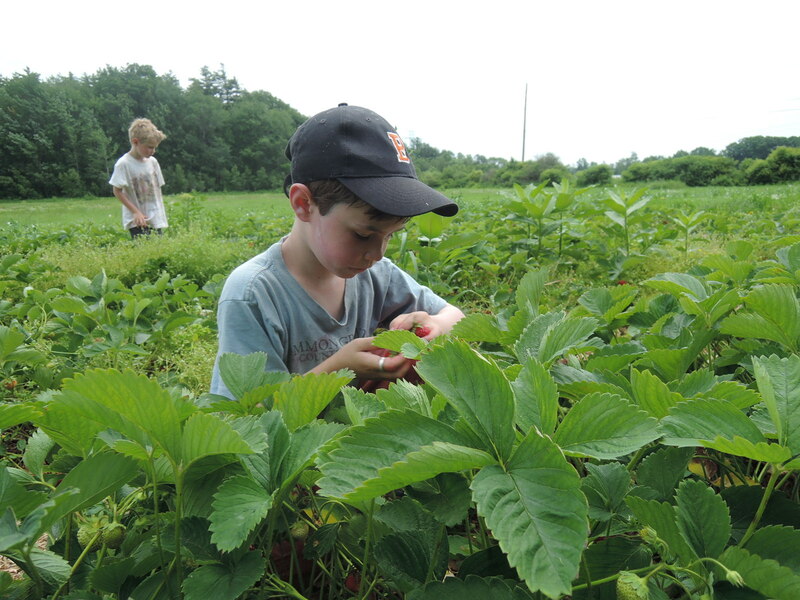 My boys and I are so looking forward to our annual June visit to nearby pick-your-own strawberry fields to stock up on berries for the freezer and for jam! 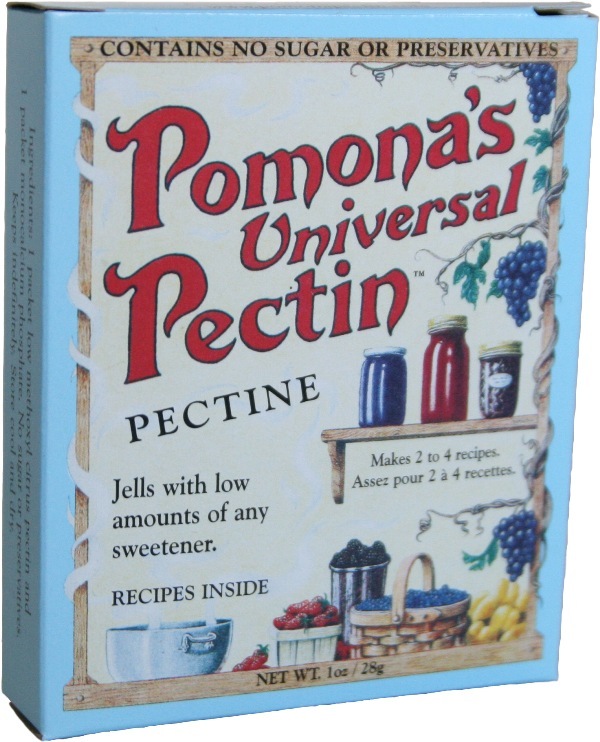 Since it’s that time of year, and so many of you are into jam-making and canning, too, I am especially excited to let you know that Pomona’s Pectin is hosting an awesome giveaway, where you can win some great canning-related goodies! Perfect way to get the canning season started, right!? All you need to do is to enter the giveaway by using the Rafflecopter widget below, and you can enter twice! You just have to be a resident of the U.S. or Canada, and be at least 18 years old. The winners will be randomly chosen, and there will be two of them! Each winner will receive all three of prizes. If you are one of the winners, you’ll hear from the folks at Pomona’s by email, and you’ll need to respond within 48 hours, or they’ll choose new winners. The names of the winners will be posted on the Pomona’s website 48 hours after the giveaway closes. But here’s the thing….this giveaway only runs from June 10 through June 17. Yep, that’s only couple of days from now….so if you want a shot at the prizes, please enter soon! I had a fun opportunity last week to be a guest on a Maine Calling–a great program on Maine Public Radio–talking about canning and preserving. If you want to take a listen, here it is! 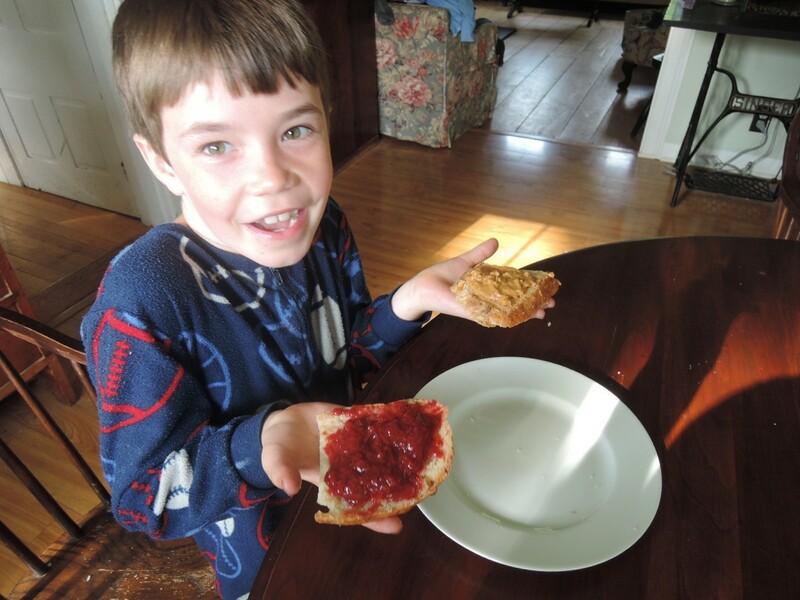 Blueberry-Maple Jam in the 207 Kitchen! 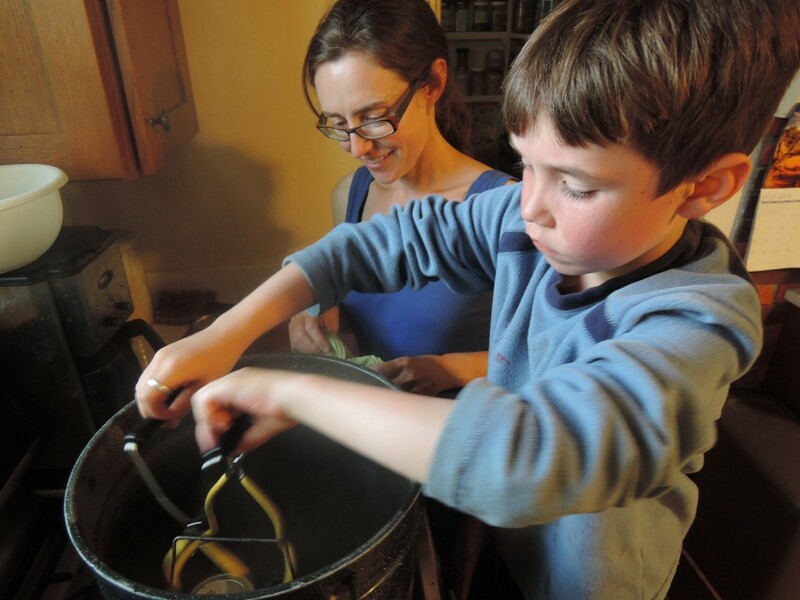 It was great to be back in the “207” kitchen the other day to make some blueberry-maple jam! As usual, the crew at WCSH6 is a lot of fun to work with, and the segment aired here in Maine last night. And, just in case the segment does what it’s supposed to do and makes you want to go get some blueberries to make jam RIGHT NOW, here’s the recipe! 1.) Wash and rinse jars, lids, and screw bands. Set screw bands aside until ready to use. Place jars in boiling water bath canner with a rack, fill at least 2/3 of the way full with water, and bring to a boil. Boil jars for 10 minutes to sterilize (add 1 additional minute of sterilizing time for every 1000 feet above sea level), then turn down heat and let jars stand in hot water until ready to use. Place lids in water in a small pan, bring to a low simmer, and hold there until ready to use. 2.) Rinse blueberries, then remove and discard stems. 3.) Mash blueberries thoroughly (a potato masher works well for this). 4.) Measure out 4 cups of the mashed blueberries. (If you have any left over, you can use it for something else.) Pour the measured quantity into a large sauce pan. Add lemon juice and calcium water and stir to combine. 5.) In a separate bowl, combine the maple syrup and pectin powder. Mix well and set aside. 6.) Bring blueberry mixture to rolling boil over high heat. Add maple syrup-pectin mixture, then stir vigorously for 1 to 2 minutes, still over highest heat, to dissolve pectin. Return jam to a boil, then remove from heat. 7.) Remove hot jars from canner and fill jars with jam, leaving ¼ inch of headspace. Remove trapped air bubbles, wipe rims with a damp cloth, and put on lids and screw bands, tightening binds only to “fingertip tight” (until resistance is met, and then just the tiniest bit more). 9.) Turn off heat and allow canner and jars to sit for 5 minutes. Then, remove jars from canner. 10.) Allow jars to cool undisturbed for 12-24 hours. Then, confirm that jars have sealed. 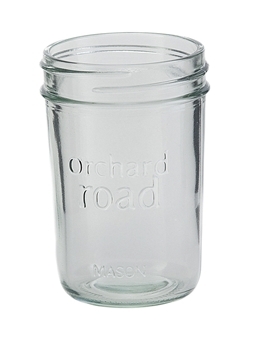 Remove screw bands from sealed jars, rinse off outside of jars if necessary, label jars, and store for later use. ***This recipe includes directions for canning your jam. However, you may instead freeze your jam, or keep it in the refrigerator. To do this, simply omit the canning portion of the directions (steps 7-10), then, after cooking, allow your jam to cool, place in freezer safe containers, and freeze or refrigerate as desired. If you are freezing your jam, be sure to leave extra space at the top of your jars to allow for expansion during freezing. Your jam will store well in the freezer for several months, and in the refrigerator they’ll last for 2 to 3 weeks. 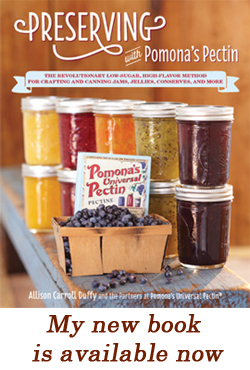 “Preserving with Pomona’s Pectin” Giveaway, Plus a Recipe from the Book! Happy Saturday Afternoon! I hope you’re enjoying the weekend. So, I wanted to let you all know about something I’m quite excited about–a giveaway that I’m participating in with my friends at Pomona’s Pectin! The giveaway includes a copy of my book “Preserving with Pomona’s Pectin and a box of Pomona’s Universal Pectin, both provided by Pomona’s, as well as a case of 6 Orchard Road jelly jars (8 oz), including lids and bands, and a stainless steel funnel, provided by Fillmore Container. Just for fun, and especially for folks who might not be familiar with my book, I thought I’d share a recipe with you from the book–Gingered Lemon-Preserves! It’s definitely one of my favorite recipes in the book, and you can see it, pictured above. In this spectacular preserve, a touch of heat from the ginger and a little tartness from the lemons beautifully highlight the lushness of fresh, ripe figs. Try serving sandwiched between gingersnap cookies to accentuate its flavor profile. To ensure proper acidity levels, be sure to use commonly available, full-acid lemons such as Eureka or Lisbon lemons in this recipe. Prepare calcium water. To do this, combine ½ teaspoon calcium powder (in the small packet in your box of Pomona’s pectin) with ½ cup water in a small, clear jar with a lid. Shake well. Extra calcium water may be stored in the refrigerator for future use. 2. Rinse figs, remove stems, and slice them in half lengthwise. (Cut them into smaller pieces if you prefer, or if you’re working with large figs.) Combine figs in a saucepan with grated ginger. 3. Wash lemons thoroughly. Using a vegetable peeler, slice off long pieces of the exterior of some of the lemon peels, avoiding the inner white part. Then, using a chef’s knife, slice these pieces into very thin strips about 1-inch long. Repeat this process until you have accumulated ¼ cup of thin, 1-inch long strips. Add these strips to the fig mixture. 4. Slice lemons in half and squeeze out their juice, discarding the remaining peels. Divide the juice, setting aside 1/3 cup for later use. Add the remaining quantity to the fig mixture. 5. Bring the fig mixture to a boil over high heat, reduce heat, and simmer, covered, for 12 to 15 minutes or until lemon peels are soft, stirring occasionally. Remove from heat. 6. Measure 4 cups of the cooked fig mixture and return the measured quantity to the saucepan. Add the reserved 1/3 cup lemon juice and calcium water and mix well. 8. Bring fig mixture back to a full boil over high heat. Slowly add pectin sugar mixture, stirring constantly. Continue to stir vigorously for 1 to 2 minutes to dissolve pectin while the preserves come back up to a boil. Once the preserves return to a full boil, remove from heat. 9. 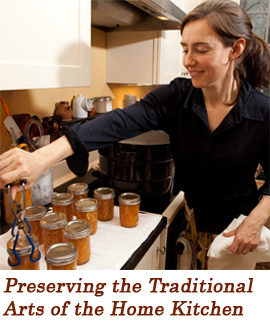 Can Your Preserves: Remove jars from canner and ladle jam into hot jars, leaving ¼ inch of headspace. Remove trapped air bubbles, wipe rims with a damp cloth, put on lids and screw bands, and tighten to fingertip tight. Lower filled jars into canner, ensuring jars are not touching each other and are covered with at least 1 to 2 inches of water. Place lid on canner, return to a rolling boil, and process for 10 minutes. (Add 1 extra minute of processing time for every 1000 feet above sea level). Turn off heat and allow canner to sit untouched for 5 minutes, then remove jars and allow to cool undisturbed for 12 to 24 hours. Confirm that jars have sealed, then store properly. Using a paring knife or a vegetable peeler, slice the thin, brown skin off a chunk of fresh, firm ginger root. Then, using a fine mesh grater, grate the ginger root. Don’t peel the whole root at once—continue to peel as you go along, so that you don’t peel more than you need. Grating the ginger will create a good bit of juice; be sure to incorporate it into your measured quantity of grated ginger. 3.) 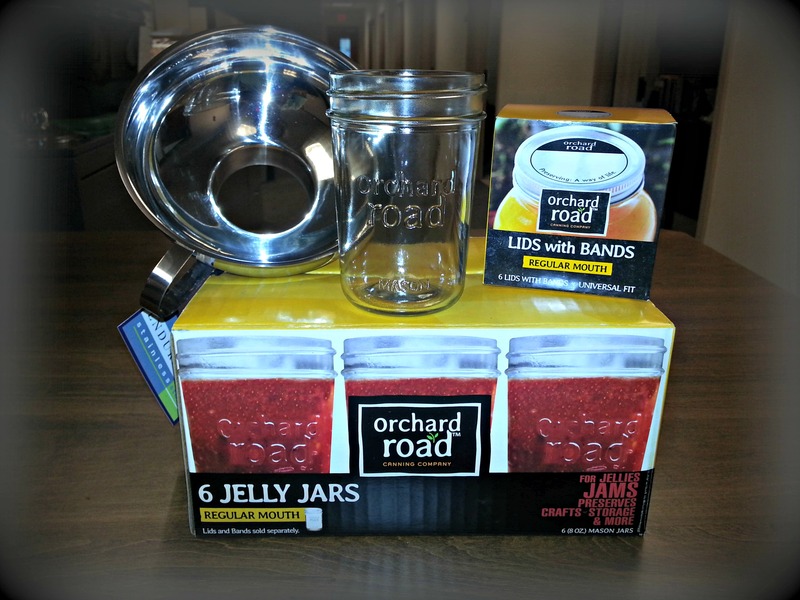 A case of 6 Orchard Road jelly jars (8 oz), including lids and bands (provided by Fillmore Container). The Giveaway terms and conditions are: Giveaway is open to anyone with a U.S. or Canadian mailing address who is 18 years or older. Giveaway runs from August 5, 2014, through August 13, 2014. Winners will be randomly chosen. We will email the winners to send us their mailing address. The names of the winners will be posted on the Pomona’s Pectin website blog 48 hours after the giveaway ends. So….all you need to do to enter the giveaway is to click on the link below. Good luck! Every year during strawberry season, I’m caught off-guard just a little bit. Not by the berries, or the weather, or anything like that–but by my boys. 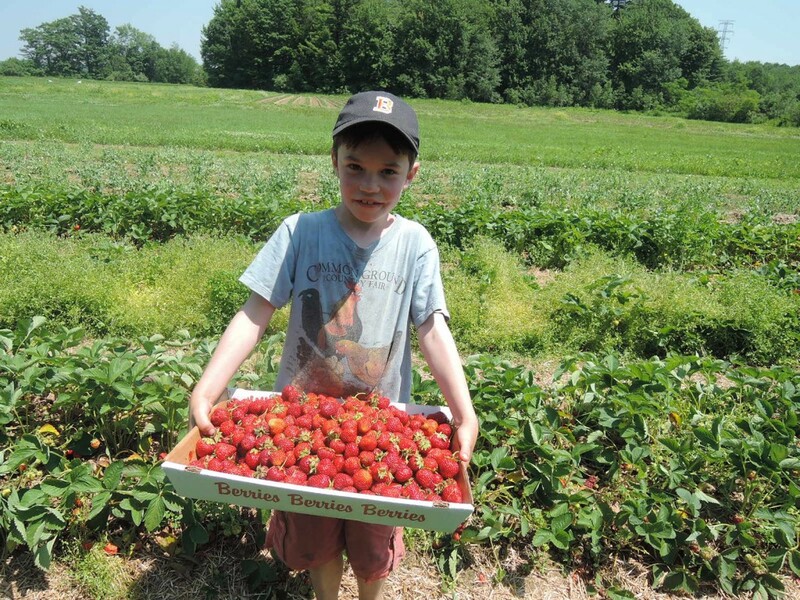 Because we do pretty much exactly the same thing each strawberry season–pick berries and make jam–it’s hard not to notice how much they’ve grown–in all kinds of ways–from one year to the next. 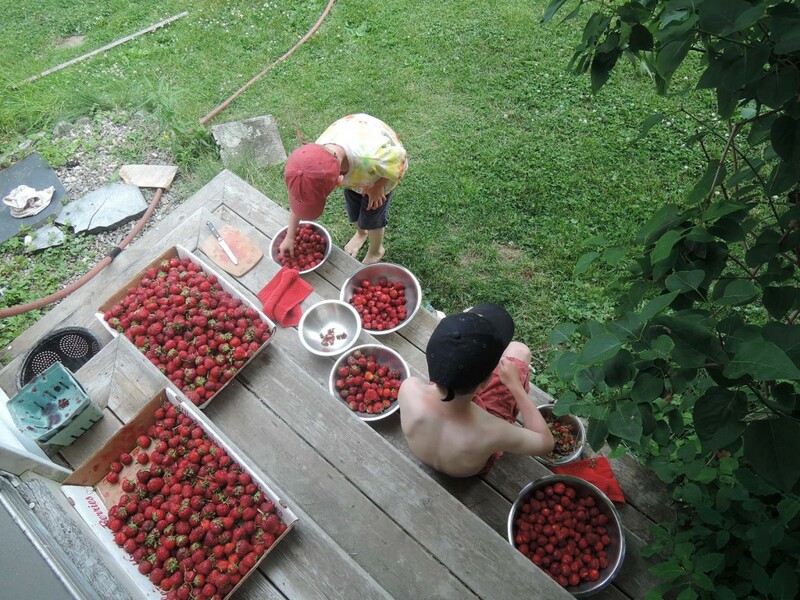 The years when I worried about them stepping all over the berries while picking, or when I wore one or the other of them on my back while making jam, are a long way from where we are now–not so much in years (as it’s really only been a few), but certainly in growth. This year, we picked for over two hours straight, in the hot sun, with very little complaining. 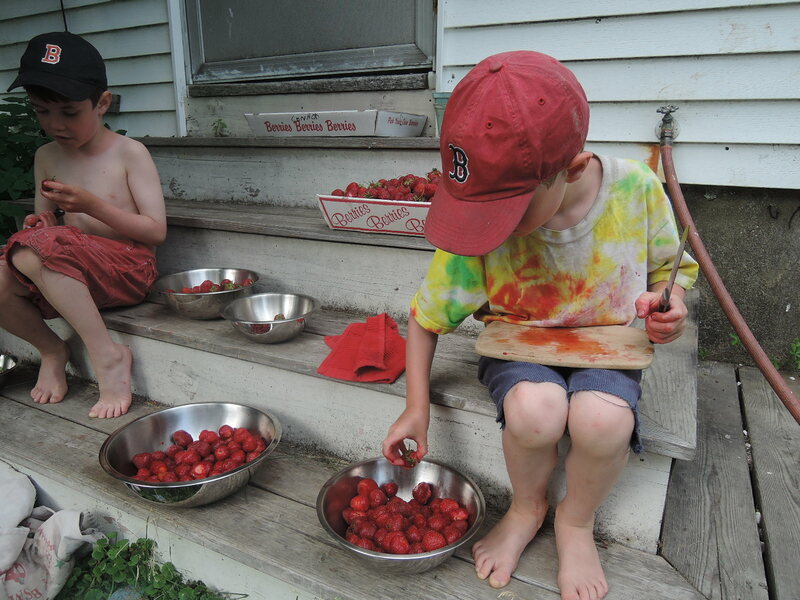 Both boys are finally able to reliably recognize and avoid under-ripe and rotten berries. 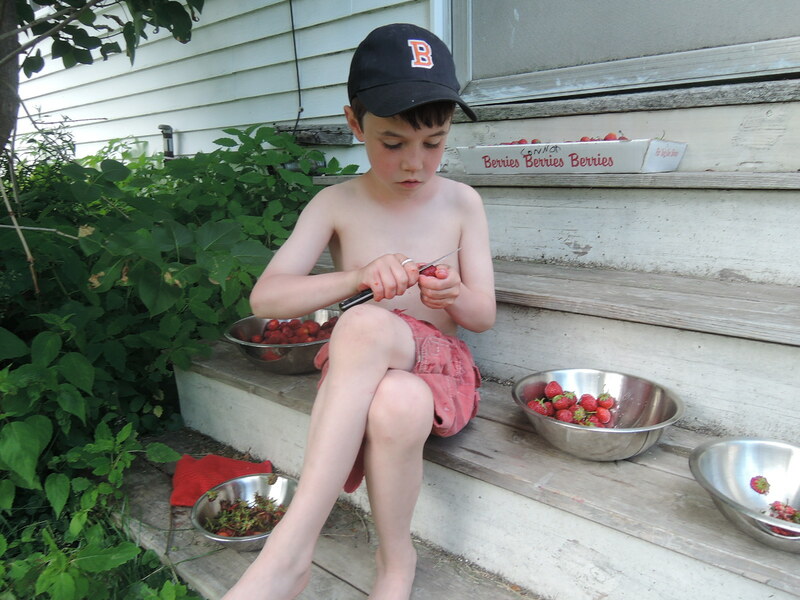 And, Connor picked almost as many berries as I did in the same amount of time (!?!). All firsts this year. Having slightly sentimental leanings, I feel a tiny twinge of sadness watching these changes from year to year, but mostly it makes me so, so happy to see the confident, capable boys they are becoming. There have been changes on the jam-making front as well. 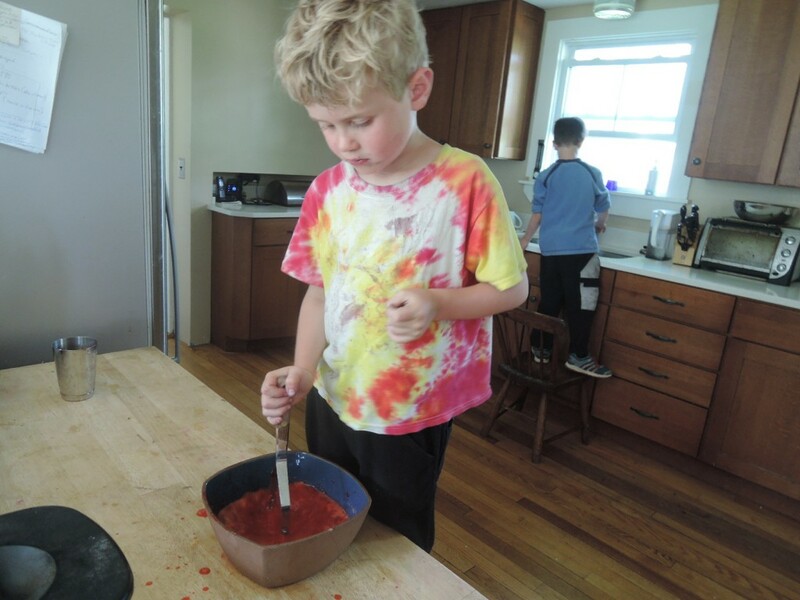 Both boys have been doing the mashing, measuring, and mixing part for quite some time now, but this year they each were ready for a little bit more. As they’re two years apart in age, what they’re ready for and able to do is a little different, and they each wanted to make their “own” jam, so I worked with each of them independently to help them with the process. 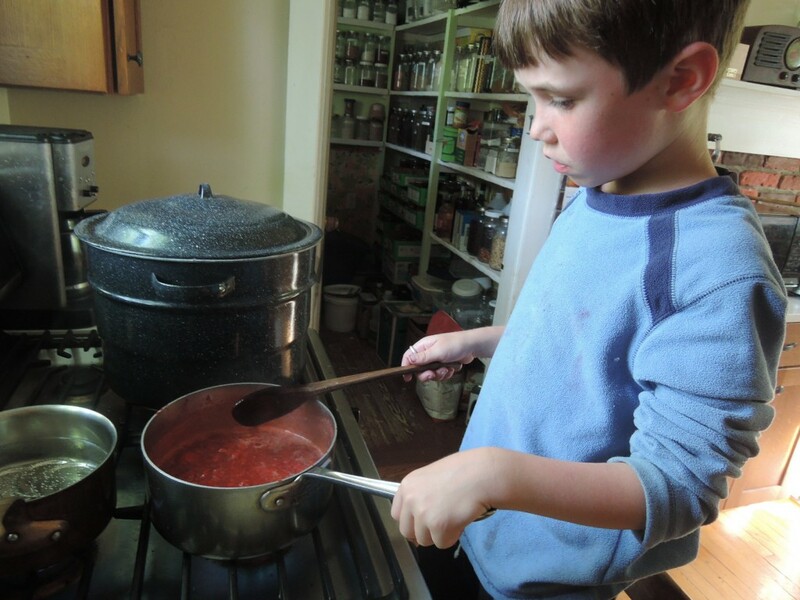 This year, Ian took on the jam-cooking part for the first time, while Connor did pretty much the whole jam-making process from start to finish, including filling the jars and loading the canner, with a relatively small amount of help from me. With hot burners and hot jam, they both had close supervision for sure, and lots of “spotting” from me to avoid any mishaps, but none the less they did it themselves. And, the jams were delicious! Needless to say, they could not have been more proud. 2.) Rinse the strawberries, then remove stems. Mash the berries in a large bowl (a potato masher works well for this). 3.) Measure 4 cups of the mashed strawberries. If you have extra, save it for another use. Pour the measured amount into a sauce pan. Add the calcium water and stir to combine. 4.) In a separate bowl, combine the honey and the pectin powder. Mix well and set aside. 5.) Bring the strawberries to a rolling boil over high heat. Add the honey-pectin mixture, then stir vigorously for 1 to 2 minutes, still over the highest heat, to dissolve pectin. Return the mixture to a boil, then remove it from the heat. 6.) Remove hot jars from canner and fill jars with jam, leaving ¼ inch of headspace. Remove trapped air bubbles, wipe rims with a damp cloth, and put on lids and screw bands, tightening bands only to “fingertip tight” (until resistance is met, and then just the tiniest bit more). 8.) Turn off heat and allow canner and jars to sit for 5 minutes. Then, remove jars from canner. 9.) Allow jars to cool undisturbed for 12-24 hours. Then, confirm that jars have sealed. Remove screw bands from sealed jars, rinse off outside of jars if necessary, label jars, and store for later use. 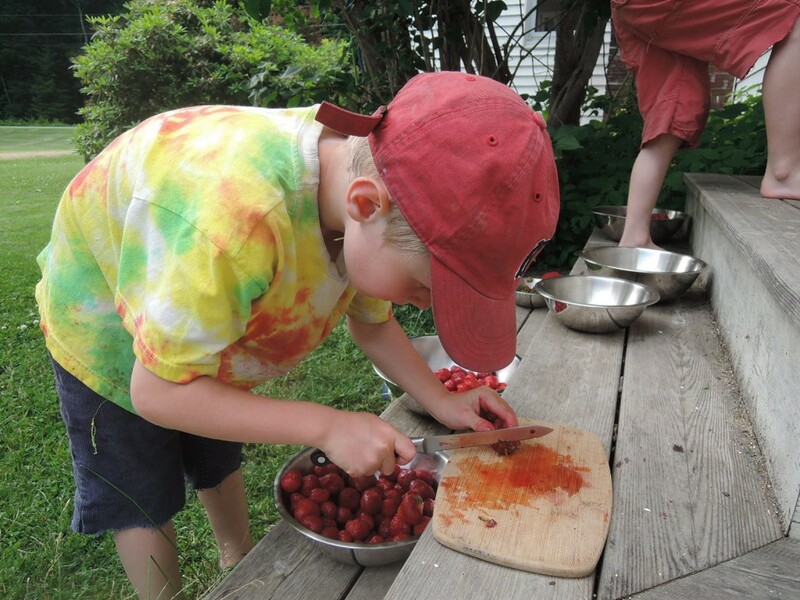 Honeyed Strawberry-Rhubarb Jam on “207”! If you didn’t catch my jam-making segment on “207” last night, here it is! Enjoy! Prepare calcium water. To do this, combine 1/2 teaspoon calcium powder (in the small packet in your box of Pomona’s pectin) with 1/2 cup water in a small, clear jar with a lid. Shake well. Extra calcium water may be stored in the refrigerator for future use. 1.) Wash your jars, lids, and bands. Place jars in canner, fill canner 2/3 full with water, bring canner to a rolling boil, and boil jars for 10 minutes to sterilize them. (Add 1 extra minute of sterilizing time for every 1000 feet above sea level.) Reduce heat and allow jars to remain in hot canner water until ready to use. Place lids in water in a small sauce pan, heat to a low simmer, and hold until ready to use. 2.) Rinse strawberries, remove stems, and mash in a large bowl. Set aside. 3.) Rinse rhubarb, slice stalks lengthwise into thin strips, and then dice. Combine diced rhubarb in a sauce pan with the 1/2 cup (120 ml) of water. 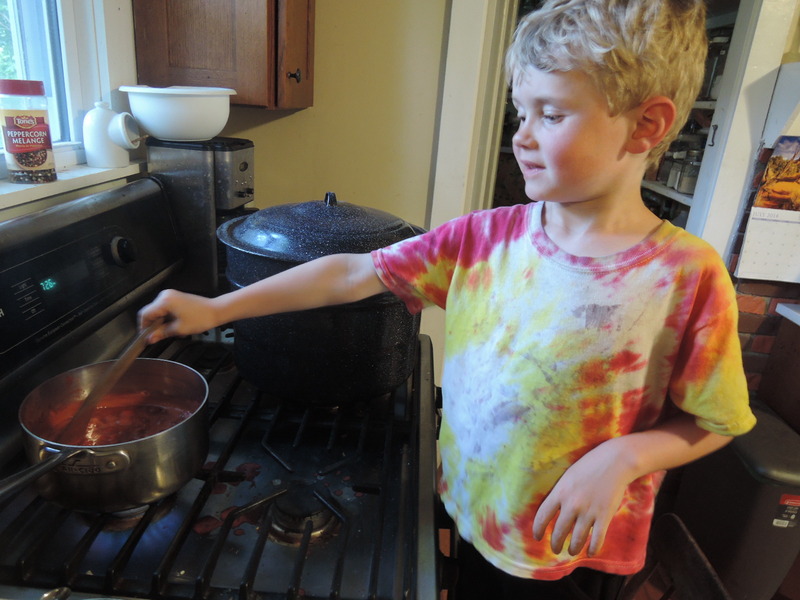 Bring to a boil over high heat, reduce heat, and then simmer, covered, for 5 minutes, or until rhubarb is soft, stirring occasionally. Remove from heat and mash rhubarb. 4.) Measure 2 cups (473 ml) of the mashed strawberries and 2 cups (473 ml) of the mashed rhubarb (saving any extra for another use), and combine measured quantities in a sauce pan with lemon juice and calcium water. Mix well. 5.) In a separate bowl, combine honey and pectin powder. Mix thoroughly and set aside. 6.) Bring fruit mixture to a full boil over high heat. Slowly add the pectin-honey mixture, stirring constantly. Continue to stir vigorously for 1 to 2 minutes to dissolve pectin while the jam comes back up to a boil. Once the jam returns to a full boil, remove it from the heat. 7: Can Your Jam: Remove jars from canner and ladle jam into hot jars, leaving 1/4 inch of headspace. Remove trapped air bubbles, wipe rims with a damp cloth, put on lids and screw bands, and tighten to fingertip tight. Lower filled jars into canner, ensuring jars are not touching each other and are covered with at least 1 to 2 inches of water. Place lid on canner, return to a rolling boil, and process for 10 minutes. (Add 1 extra minute of processing time for every 1000 feet above sea level). Turn off heat and allow canner to sit untouched for 5 minutes, then remove jars and allow to cool undisturbed for 12 to 24 hours. Confirm that jars have sealed, then store properly. As an alternative to canning your jam, you may instead freeze or refrigerate it. To do this, simply omit the canning portion of the directions (steps 1 & 7), then, after cooking, allow your jam to cool, place in clean, freezer-safe containers, and freeze or refrigerate as desired. If you are freezing your jam, be sure to leave extra space at the top of your jars to allow for expansion during freezing. Your jam will store well in the freezer for several months, and in the refrigerator it will last for 2 to 3 weeks. 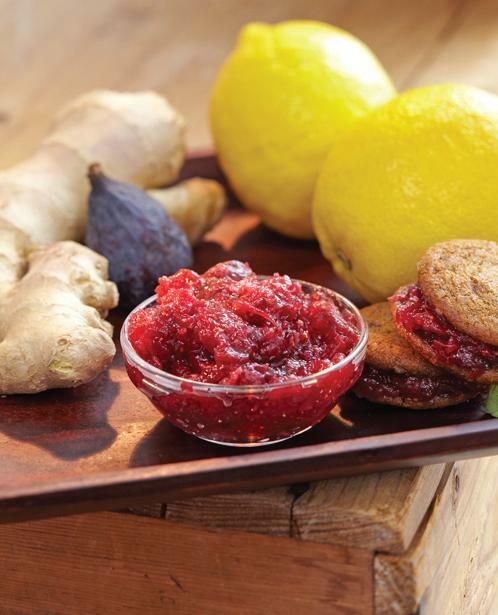 “Preserving with Pomona’s Pectin” Giveaway! Good morning! I just wanted to let you all know that the good folks at Fairwinds Press are doing a give-away of my book! 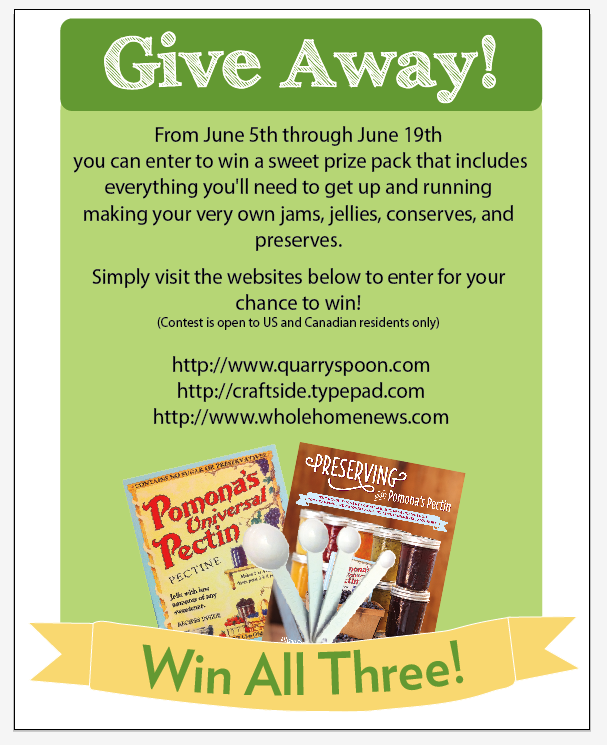 All you need to do is visit one of the websites listed below (or just click here http://www.quarryspoon.com/2013/06/a-jamtastic-giveaway-and-margarita.html), enter the giveaway, and you might just win a copy of the book…..along with a package of Pomona’s Pectin!